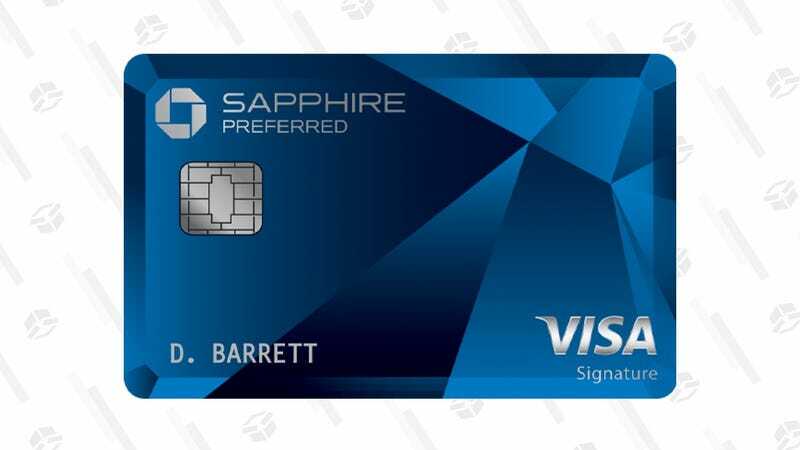 The Chase Sapphire Preferred Card is still the card we recommend to people who are getting started with travel rewards, so it’s particularly noteworthy that its welcome offer just changed for the first time in years. Now, instead of receiving 50,000 Ultimate Rewards points for spending $4,000 in your first three months, you’ll receive 60,000 points with the same minimal spend. The catch? The $95 annual fee is no longer waived in the first year. The Points Guy currently values Ultimate Rewards points at 2 cents a piece, and even if you just used Chase’s travel portal to spend your points (far from the most valuable way to redeem them), they’ll be worth a flat 1.25 cents each. That means that the extra 10,000 points will be worth between about $125 and $200, more than enough to cover that additional annual fee. All told, this shouldn’t really do much to change your calculus when choosing between a Sapphire Preferred or a Chase Sapphire Reserve, which still carries the same 50,000 point welcome offer after spending $4,000 in three months. That’s a different debate for a different post. But I do think it’s a small improvement for the Preferred on the whole, as long as you were planning on keeping it for more than a year.